Gemstone donuts are versatile components that can be used in a variety of jewellery designs. This page gives step by step instructions on how to wire wrap a donut, which is a great technique to learn to enable many design options. Snip Nose Pliers, Metal Shears or Side Cutters and Snipe Nose Pliers. 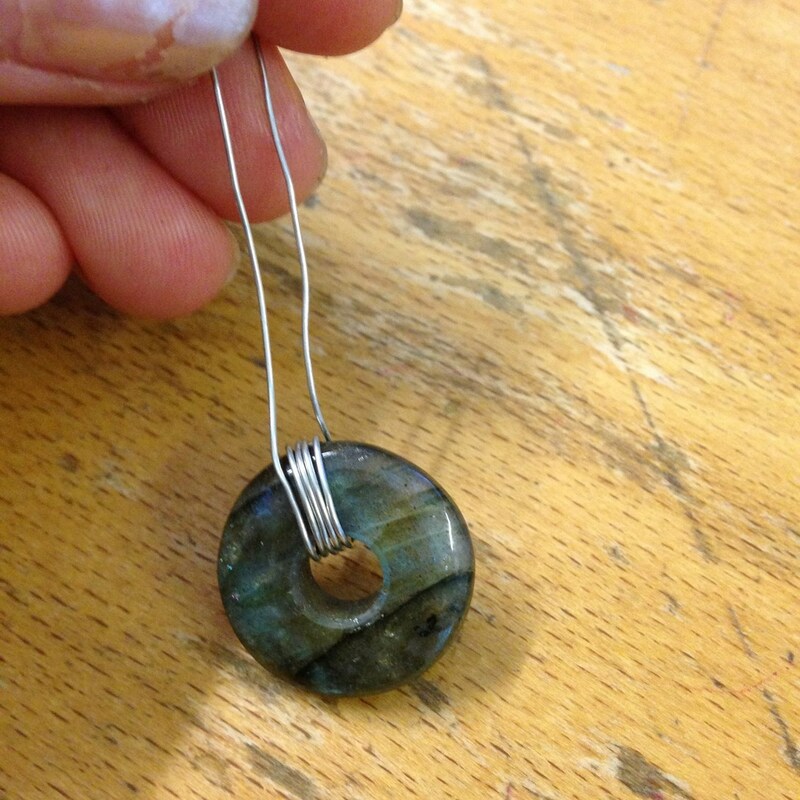 Metal Wire - Preferably 0.3mm 0.5mm (the thinner the wire, the easier to manipulate) and a Gemstone Donut. 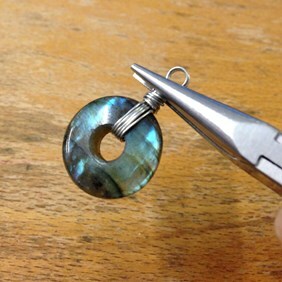 20mm Labradorite Gemstone Donut and 0.5mm sterling round silver wire. Take a 30cm length of wire and put the wire through the hole of the donut. Wrap this around the donut 5 times. 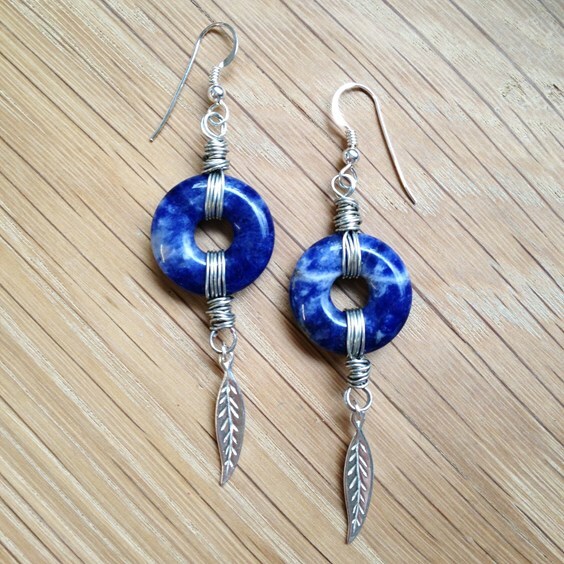 You want to have roughly equal lengths left over both sides. 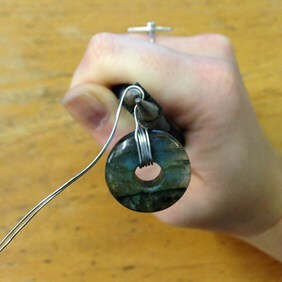 To end up with this, start with one side of the wire double the length of the other and use the longer side to wrap around the donut. Use your snip nose pliers to pinch the ends of the wire together so they are flush with each other. Take your round nose pliers and about 5mm up from the top of the donut, bend to an angle and then create a loop around the pliers. 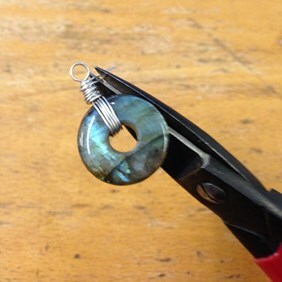 Hold the loop with the round nose pliers, then tightly wrap the wire around itself downwards towards the donut, once at the bottom wrap it back up towards the loop to create a thicker bail. This will use almost all of the wire. Use your metal shears or side cutters to cut the wire off as close to the bail as possible. 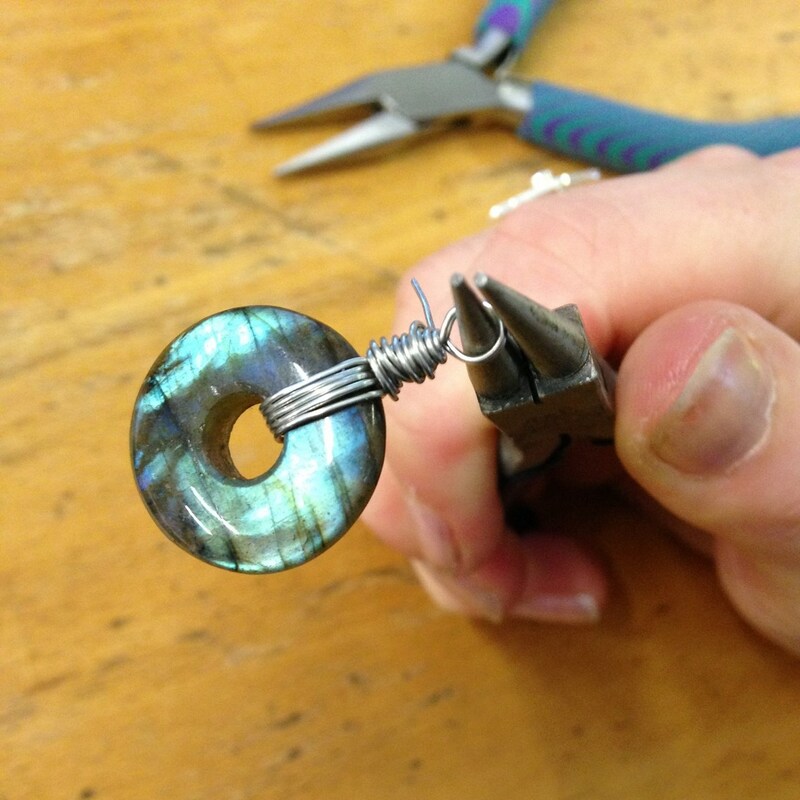 Use the snipe nose pliers to squeeze the loose wire ends into the wrapped wire bail. 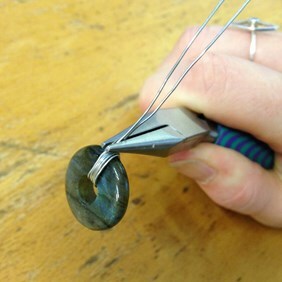 You want it so that when you run your finger along it you won't be able to feel anything sharp. 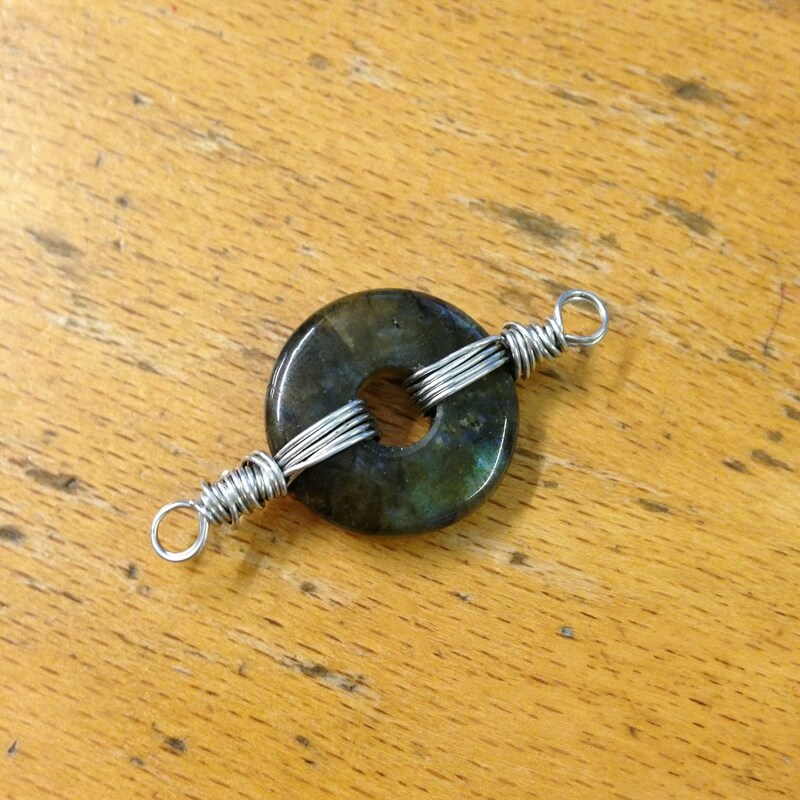 Your Donut is now a pendant and ready to hang from a either a necklace, bracelet or earrings! 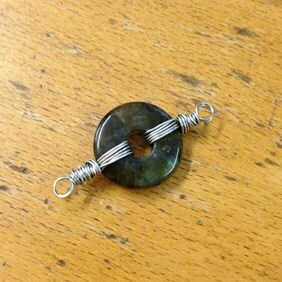 To make your donut pendant into a connector, repeat the same process on the opposite side of your donut. 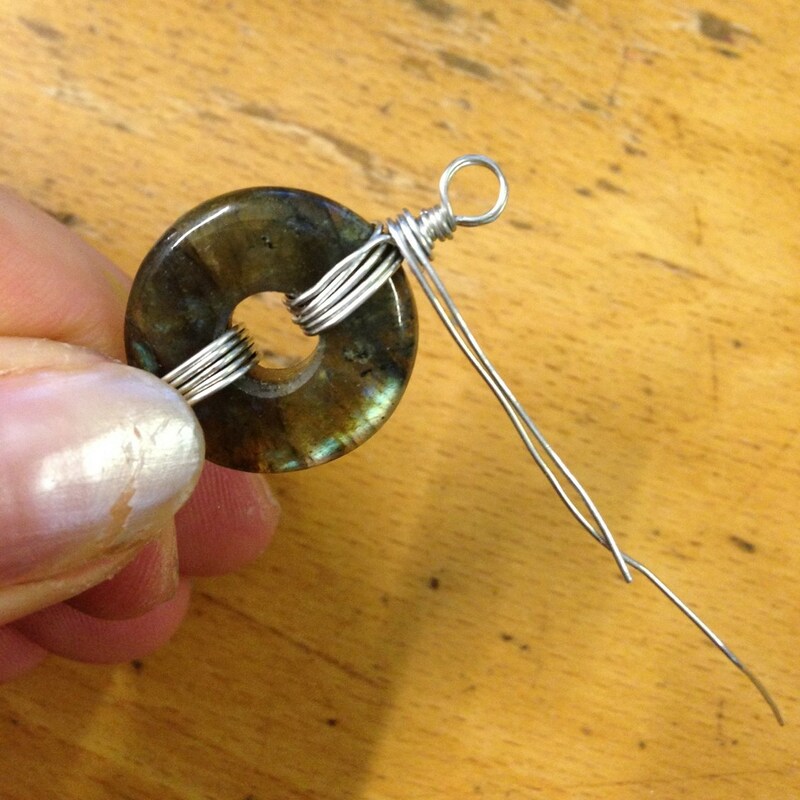 Your wire wrapped donut is now complete and ready to incorporate into your jewellery designs. 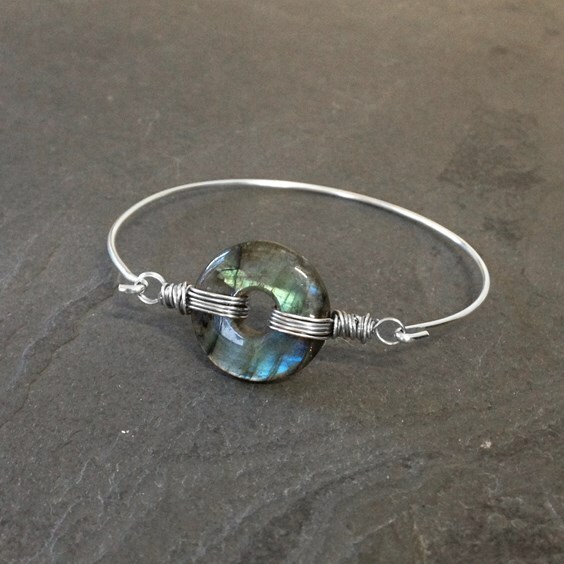 Wire wrapped gemstone donuts can be used in many ways, for example, you can use it as a bangle top, linked together to make a bracelet, as part of some earrings or attached to lengths of chain to make a necklace. Here are two designs we have made with wire wrapped gemstone donuts!